For projects having a video quantization bitrate of 10 -bit, layouts are processed with 10 -bit precision retained. 1) Select a clip containing a video part, and double-click [Layouter] in the [Information] palette. : Drag the mouse to move or perform handle operations of the screen. : Drag the mouse to expand or contract the screen. From the drag start point, drag to the right to expand screens, and drag to the left to contract. : Center the display area which was moved by the pan tool. : Directly enter a numerical value or select one from the list to set the display ratio. In the 3D mode, green part rotates around the Y axis, red part rotates around the X axis, and blue part rotates around the Z axis. 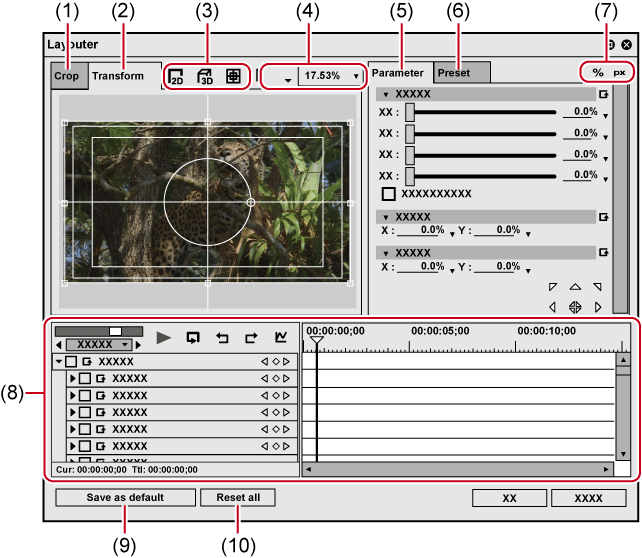 With rotation on the preview screen, the X/Y/Z axes are the values for video, and with rotation by direct entry of numerical values to parameters, the X/Y/Z axes are the values for the display. [Resampling method] can be selected from the following options. See the following table for the resampling methods of (2) to (8) . 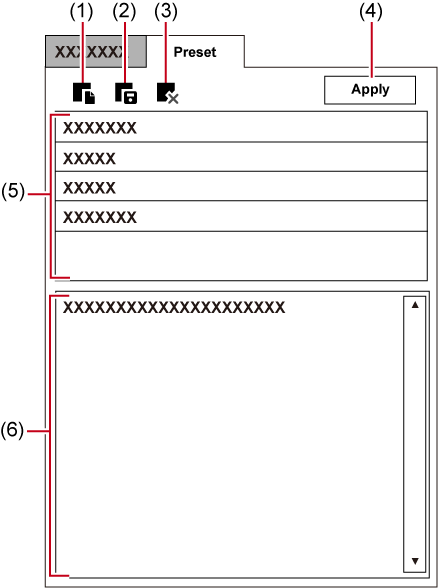 The number of indicates the processing ability to process the corresponding events. 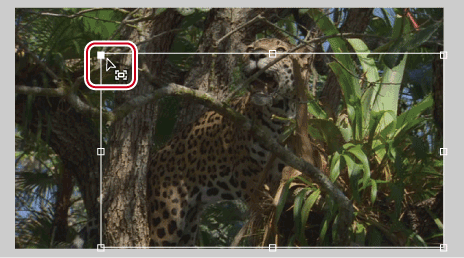 1) Select a clip, start up layouter, and edit the layout. 2) Click the [Preset] tab. 3) Click [New], and click [Yes]. 4) Enter a preset name and comment, and click [OK]. 3) Select a preset, and click [Apply].